On the movie poster and in the movie he is wearing a pair of black Dior Mist sunglasses. Even though these are ladies sunglasses, Will Smith still looks cool in them. 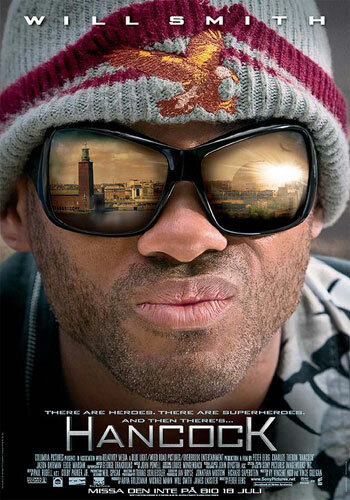 In the same film, Will Smith can be seen wearing a pair of Fitover Navigators.